As a celebration of Anne LaBastille’s life and work, The Woodswoman Project is to bring this commissioned musical composition to life through a multi-disciplinary program curated by Rose Chancler. Although still in the developmental stages, the following artists are joining Ricochet Duo to bring this program to life. A natural choice for the central composition of the program is Welsh-born composer Hilary Tann (ASCAP). 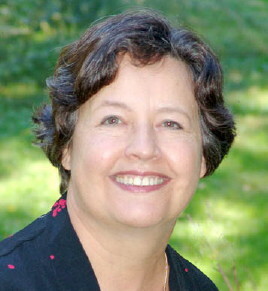 Tann now lives in the foothills of the Adirondack Mountains in upstate New York where she is the John Howard Payne Professor of Music at Union College. From her childhood in the coal-mining valleys of South Wales, Tann developed the love of nature which has inspired all her music, whether writing for performance in the United States such as Adirondack Light for narrator and orchestra for the Centennial of Adirondack State Park (1992) or for her first home in Wales with the celebratory overture With the heather and small birds, which was commissioned by the 1994 Cardiff Festival. Composer Rain Worthington (ASCAP) has a distinct voice within the field of contemporary music. As critic, Kyle Gann noted in Chamber Music magazine, her music take(s) ideas of American musical style to a new place – like a walk in a familiar, yet very different park … And isn’t afraid to come up with its own startling conclusions. Using the palette of chamber and orchestra instrumentation, Rain Worthington’s work touches the human heart with emotionally evocative music that is nuanced, delicate, powerful and transporting. World music, minimalism and romanticism have influenced Rain’s compositional style. Her music has been performed in a wide variety of venues from loft performance spaces and dance clubs in New York City, to orchestra recordings in Eastern Europe and chamber concerts in Spain, India, and Israel. In 2010 Ricochet Duo gave the world premiere of Rain’s On Curious Reflection at the Ninth Festival of Women Composers at Indiana University of Pennsylvania. Rain has been awarded grants from Meet The Composer, ASCAP, the American Music Center, NYFA, and the American Composers Forum. Recent performances of Opel’s work include the New York premiere of Pop Swatches by cellist Amanda Gookin and pianist Nicola Melville, an arrangement of Now That Your Dollar Bills Have Sprouted Wings from Beck Hansons “Song Reader” commissioned and premiered by The Atlantic Chamber Ensemble, Rite of an Appalachian Bolero in Blue….from Mars premiered by PUBLIQuartet, and Serried with a Tinge of Bop, commissioned for the Chautauqua Music Festivals 17th Annual Piano Competition. In 2003, Opel became one of seven composers to receive the Aaron Copland Award, a residency that allows emerging composers to work uninterrupted and in privacy at Copland House – the last home of Aaron Copland. He has studied composition with Ernesto Pellegrini, David Foley, Kamran Ince, George B. Wilson, William Albright, Don Freund, Jeff Hass, Eugene OBrien and Claude Baker and piano with Marjorie Meredith, Pia Sebastiani and Dickran Atamian. He has also studied with U.K. composers Oliver Knussen and Colin Matthews. Recently moving from the New York metropolitan area, Opel currently resides in Northfield, Minnesota.